With the In- Each Category based rule, you can provide discount based on the quantities purchased in a combination of Categories. For Example: Buy 1 product from Category A + 1 product from Category B + 1 product from Category C give a 10% discount in the cart. Go to Cart Discount rules -> Create rule. 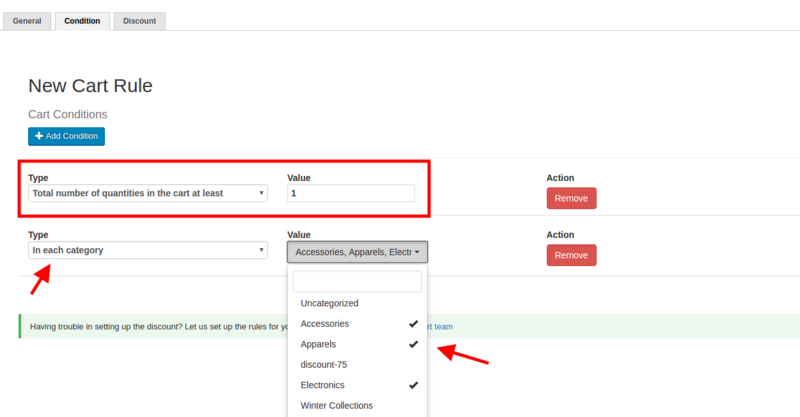 Here comes the Condition tab, where to choose the category and the quantities as per your requirement. In Each Category: Select the categories which you need to be combined to get the 10% discount. Discount applies only when there are 1 product from each of the category. 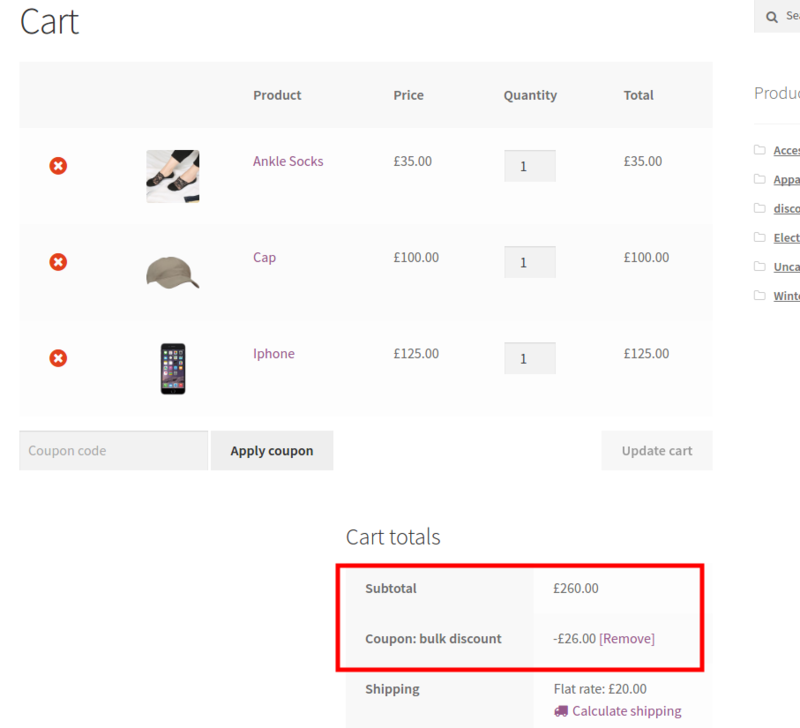 The discount will only be applied to the Categories you are selected in the dropdown. So, when any other product from different category is added, that product alone will be exclude from the discount.